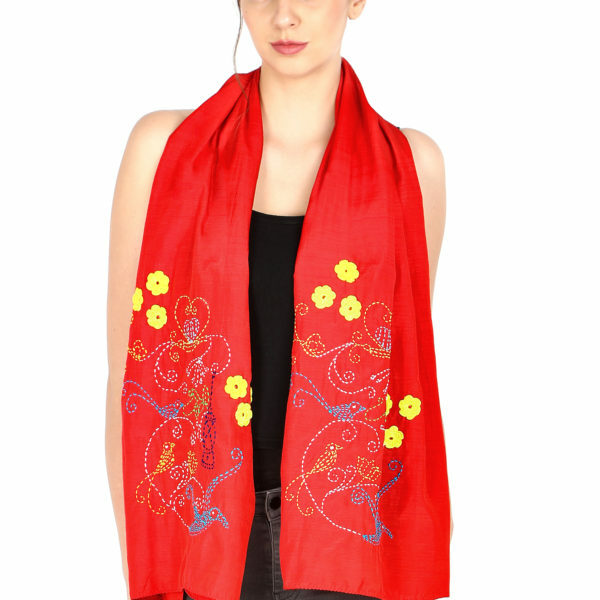 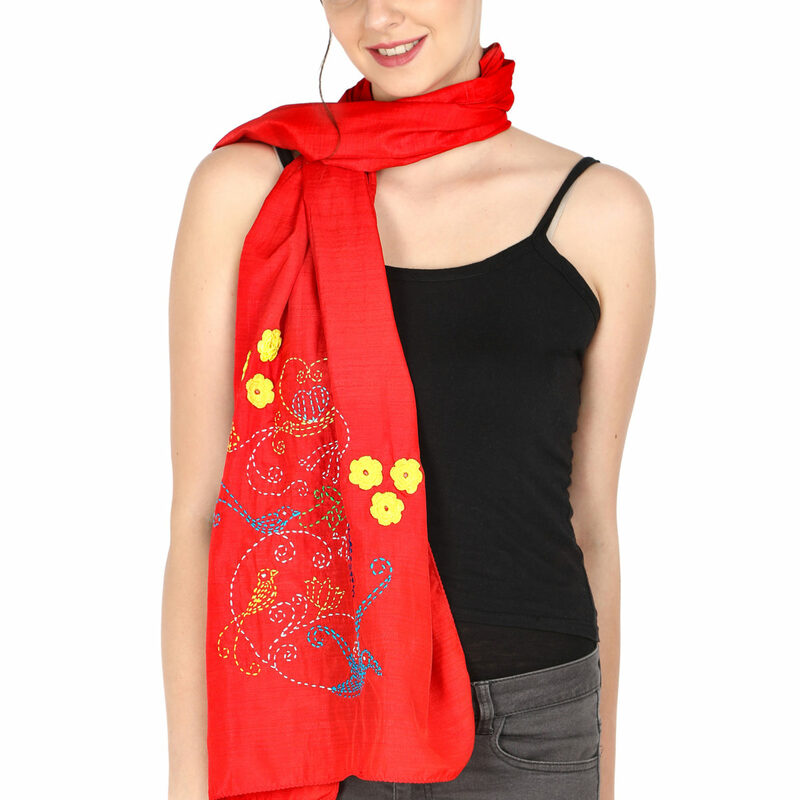 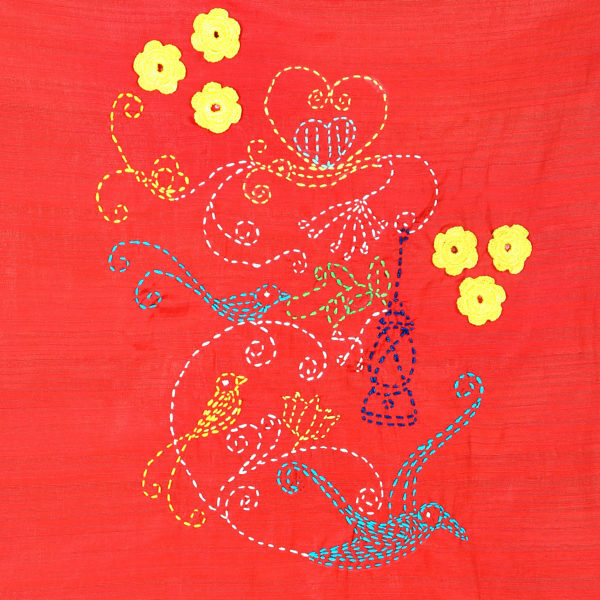 Flaunt a new look with handcrafted red stole with exquisite Kantha embroidery and crochet flowers. 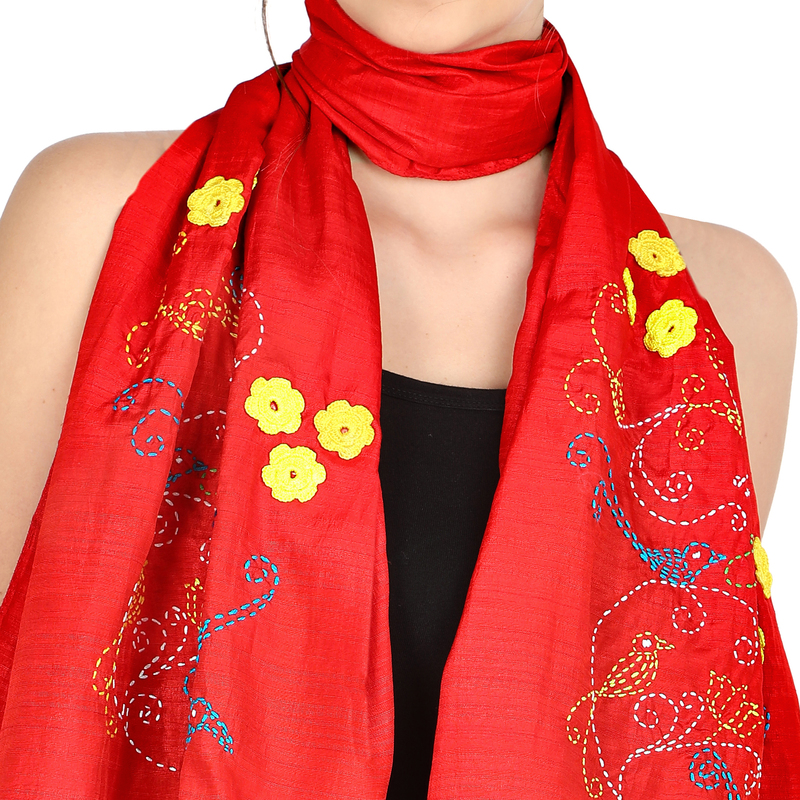 The bright red fabric and eye catching kantha and crochet work will enhance your look. 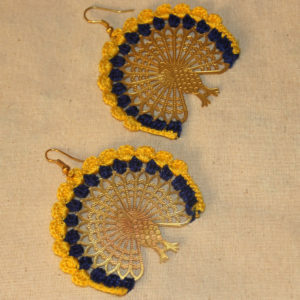 Add a stylised punch to your casual and formal look.